Mr Radesana, one of the few Christians in the majority Tsimihety people group, has been an evangelist for 25 years. But, until the end of last year, he had never been able to set up a church in its own building – a vital witness among people who still practice a lot of traditional, animistic religion. This all changed when a new church was born in the aptly-named district of Ambohimandroso which means ‘the place where progress is made’. Thanks to a large anonymous donation the church has been able to put down a deposit on some land to erect a building. Please pray that God would protect this witness. Radio Feon Janahary is the first Christian radio station in the isolated area of Maroantsetra in northern Madagascar. Many people of the area venerate ancestors and often practice synchronistic Christianity. Local believers want to reach these remote villages with the Gospel on a daily basis through radio with the aim of discipling, raising leaders, and teaching people, especially in the rainy season when it's hard to get about. 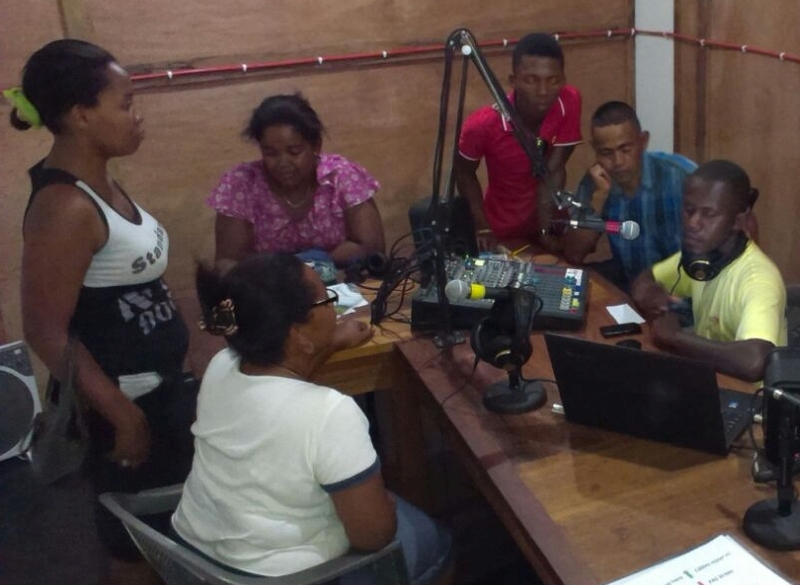 Pray for this new radio station and its potential audience of 35,000 people, that the broadcasts will encourage the church to reach out to their neighbours. 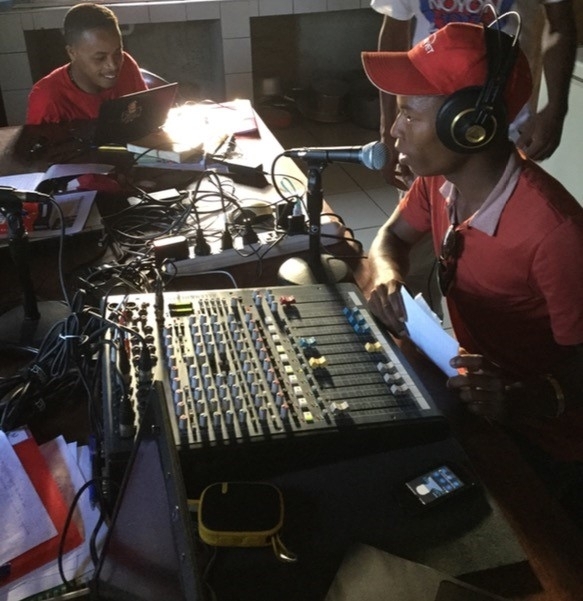 Later this year a new Christian community radio station will be launched in a town in Madagascar which is quite isolated by it’s bad roads. Alfred is a pastor who came to the town to plant churches in this area where ancestral worship is very strong, and there is persecution of Christians. The team will have to be spiritually solid, as recently someone walked onto the site to attack Alfred and his family. Pray for safety for the radio team and for a great spiritual harvest as the station launches. One Muslim woman began listening to a programme on the first Christian radio station in Maroantsetra. She then visited the station and said, “I want to offer my life to Jesus so I can go to Heaven.” The station staff prayed with her, and she accepted Jesus as her saviour. Then two witchdoctors offered their lives to Jesus and burned their religious artefacts because of what they heard on the station. So far, more than 50 people have been baptised as a direct result of the station’s outreach. Pray for further spiritual impact, and for those who live in Maroantsetra as they are facing famine because their crops were destroyed by the floods during the recent cyclone. Transformation development taught in Madagascar is based on the biblical foundation of Romans 12:2, “Do not conform to the pattern of this world, but be transformed by the renewing of your mind”. Praise God that many participants have understood that development starts with themselves, and that the principles are empowering them and their families. Pray that the 170 local leaders who have received the training would begin to apply Biblical principles day to day. 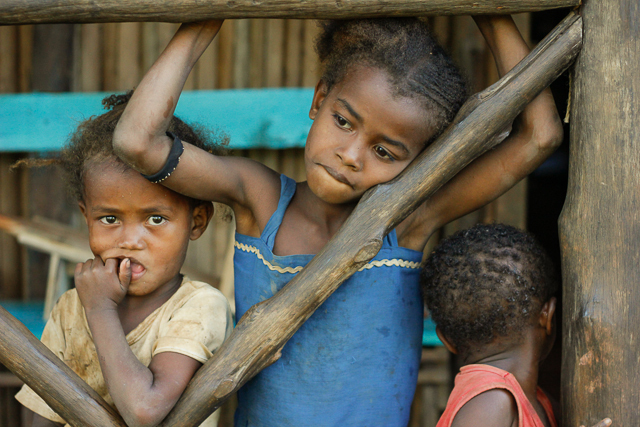 Pray for the Sakalava people of Nosy Be, Madagascar, that they might come to know the true God of the world. Pray that they would turn from looking to their ancestors for protection and blessing, and turn to Jesus Christ, their true spiritual brother, who is the only one able to save them. 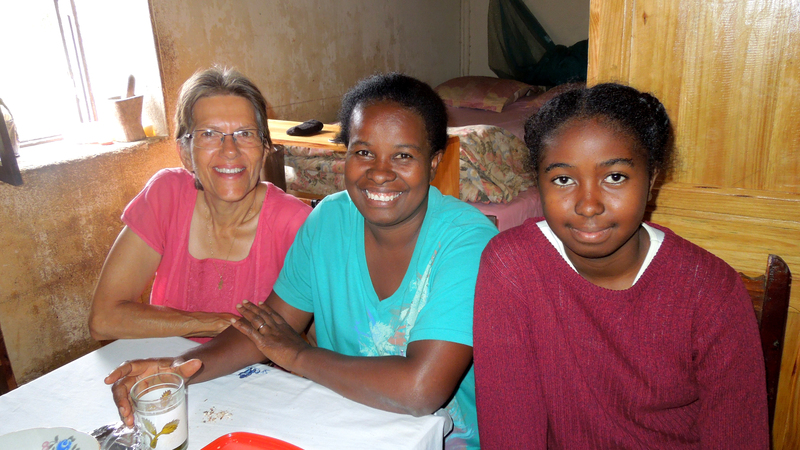 Please pray for a new Focus team to go to the Sakalava of Madagascar, to be recruited in 2016. Please pray for some current team members, who are now considering God’s call in their hearts to return for this ministry, that the Lord would make it clear to them. The ‘Good News’ Hospital serves the needs of a large area of north central Madagascar from its location in Mandritsara. People walk for miles to access healthcare at the hospital but the doctors and medical staff, not content with serving just the local community, also use MAF to fly eight medical safaris each year to people in inaccessible areas of the country. Give thanks for the skill of Malagasy eye surgeon Dr Hanitra Razanamampionona. In a country with one of the highest incidences of cataracts in the world, she undertakes around 500 cataract operations a year bring to back sight and quality of life to those she treats. Nosy Mitsio, a remote island off the northeast coast of Madagascar, is the cultural heart of the Antakarana people. An Antakaran King once made a deal with Allah during an invasion and ever since the Antakarana people have been devoted to Islam. To this day, Nosy Mitsio is a revered place. Pray for the people there to learn of Christ and desire to make him their refuge. A team of translators is now gathering data for a translation of Luke in the Antakarana dialect. Pray that this work goes well and that the finished product may be put to good use. Île Sainte-Marie is a small, beautiful island off the east coast of Madagascar. Sadly, the island is riddled with poverty, witchcraft and sexual tourism. Although the church has a presence there, many people still have never heard the gospel. Praise God that through various ministries, including door-to-door and street evangelism, children’s programmes, drama and sport ministry, over one hundred people have recently made commitments to Christ. Please pray for the ongoing ministries of outreach and discipleship. 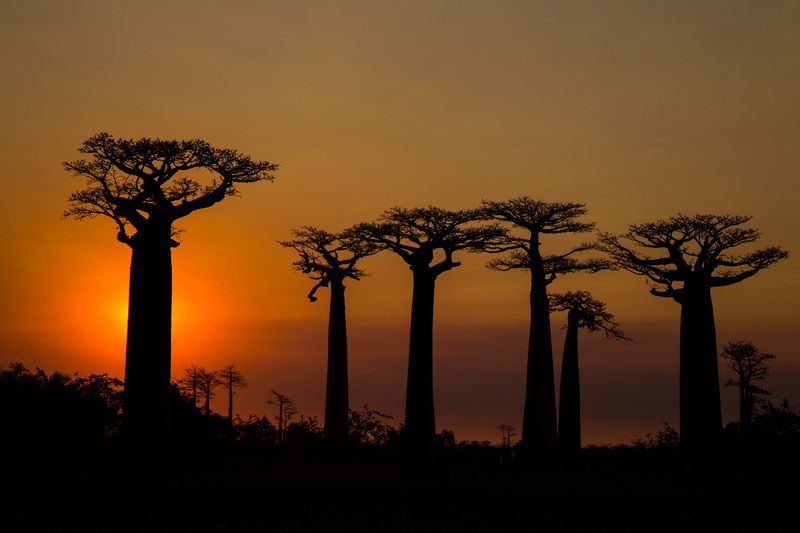 Praise God that a TIMO (Training In Ministry Outreach) team will be living and working among the Sakalava people in northern Madagascar, beginning in November 2012. Praise Him for Rosina Ferdinand, one of few Sakalava believers, who will lead the team. The Sakalava worship their ancestors, believing that children are the ‘future ancestors’, and therefore place great emphasis on them. Fear is their constant companion and sorcery and witchcraft are endemic in their communities. Pray that the Lord will lead people to join the team and that the Sakalava will come to see the hope that there is in Christ and leave their ancestor worship. Pray too, that the team will have the strength to stand up against the inevitable spiritual attacks.